As summer hits I have been looking for better quality, low calorie drinks that aren't packed with sweeteners, which are also fun! 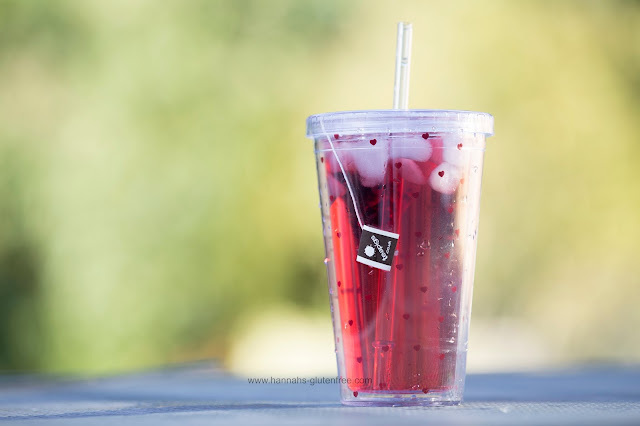 Teapigs is a brand I found relatively recently and when I saw they had a much wider range than the typical things you find in the shops, I knew they would be perfect for summer drinks! Super fruits was the first one I knew I would love iced. I will be doing some recipes with the other teabags but I wanted to try them all just with water for now so I can taste the flavours first. To make this drink, all I did was make the tea like you would if you were to drink it hot in a smaller mug. Then I got my takeaway style tumbler, as it is large, but any large cup or tumbler will work. Fill this to the top with ice and then poor the hot tea over. The ice cubes should melt and the cup ends up perfectly full, you can always add a bit more water if needed. Tra Da.... Perfectly cold iced tea. The flavours of this are very much like a blackcurrant or summer fruits squash when iced. Much fresher and slightly more tart in flavour, this tea is not as artificially sugary sweet like many fruity drinks. There is a blend of hibiscus, elderberry, blackcurrant, raisin, natural flavours and blueberry. 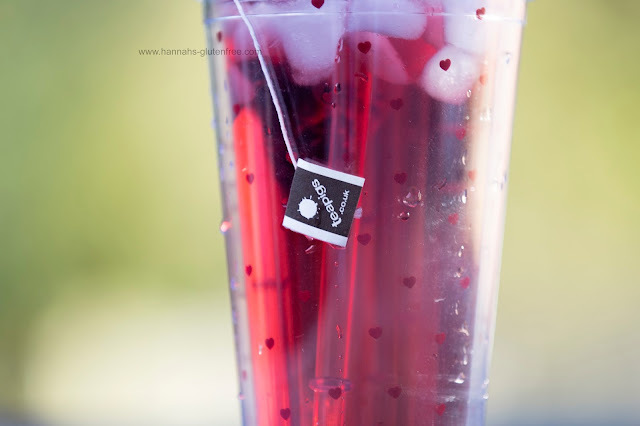 From this you can imagine how fruity berry flavoured this tea is. Like my hot tea, I left the bag in the cup as I like the tea to get more flavoursome towards the bottom. I feel this tea gives me a natural energy boost too, so is great for a mid day/mid afternoon drink to get you through the day! I would love to know if you have used Teapigs before and if you have any fantastic recipes for them! I have a few I want to try and hopefully I will be sharing them with you soon! *Teapigs sent me these to try, all opinions are my own.